Information Resources | Apps | Drop Off Sites | Invasive Seaweed | If you find any more, please email me. 1) Did you find debris? Learn about drop off sites below. 2) Did it have organisms on it? OSU's Jessica Miller's blog with coverage of what is being studied with invasive species, and how to collect samples. ODFW Marine Aquatic Invasive Species & Japanese Tsunami Debris Page - Oregon Department of Fisheries and Wildlife's website. Their invasive species and tsunami debris page hosts information and updates. What are the native marine species of Oregon? This is a fabulous pictorial guide of everything that should be found there. Great for the scientist and beachcomber in all of us. Main website of HMSC- a marine research facility in Newport, Oregon. Hatfield (HMSC) houses research for Oregon State University, NOAA, the National Marine Fisheries Service, and Oregon Department of Fisheries and Wildlife. Their website hosts science and marine news, including debris. Marine debris website with current information, volunteer opportunities, and beach cleanup information. The Oregon Shores Conservation Coalition website has a large variety of resources on marine debris and coastal stewardship, as well as a recent sightings map. Adopt a mile of beach! Website for WA State Marine Debris Task Force, headed by the Military's Emergency Management Division. In addition to other resources, a news portal has been established to keep citizens up-to-date on local debris. Those who find non-hazardous debris (plastic, styrofoam, and other small man-made materials) are encouraged to remove and dispose of them. NOAA's Marine Debris Website- Constantly updated with the newest models and information globally. International Pacific Research Center - The IPRC has a webpage for marine debris, as well as a series of excellently detailed models of the debris path. They have news relating mainly to Hawaii, but includes information for other areas as well. If you find tsunami-related debris that is not easily removable, please take a photo, note the location, and email the information to: disasterdebris@noaa.gov or contact your State Parks Department. Lampyr.org - An ecological cataloging app that can help you instantly learn about what species are found near you. Useable on both a computer and smart phone with browsing capabilities. Be sure to enable location services. Check it out! Marine Debris Tracker - Report marine debris to NOAA, and track what is being reported across the nation. iPhone and Android. Coastbuster - An app designed by Ocean Networks Canada that allows you to instantly photograph and catalog debris you find on the shore. Currently only available for Android. Drop off sites are usually plastic bags and containers provided by SOLVe. The one closest to me is pictured below. Foam and plastic should be gathered whole and left at the collection site. Debris that is too large to fit into a bag or move should be reported to Oregon SAFENET (1-800-SAFENET) with a date and location. Additionally, you can email beach.debris@state.or.us if it is not normal business hours, or is on a weekend. Debris with living organisms should be photographed and reported with a location and date and moved above the high tide level or removed from the beach completely. Don't put it back! The Oregon Department of Fisheries and Wildlife and Department of Agriculture have issued statements that a certain species of seaweed, Undaria pinnatifida, has shown up prominently on some debris, and is one of the world's top 100 worst invasive species. These organizations ask that coastal citizens look for this species of seaweed, and collect and report it if found. 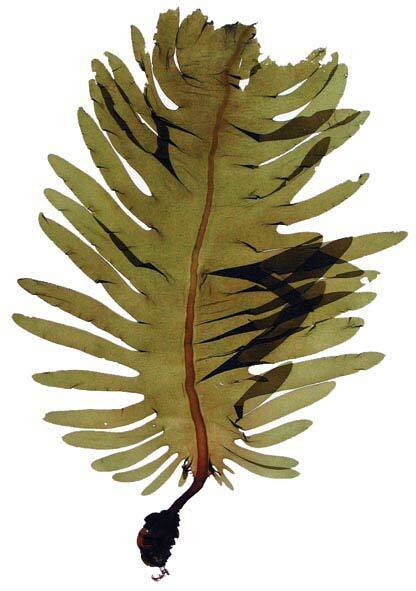 Remove the seaweed by scraping it off completely or grabbing below the sporophylls and tearing off. Do not leave the sporophylls. Compost or destroy the seaweed. Don't return it! Note: We do have several native species of seaweed that may somewhat look like Undaria but are not. You'll know it when you see it if you study these pictures!